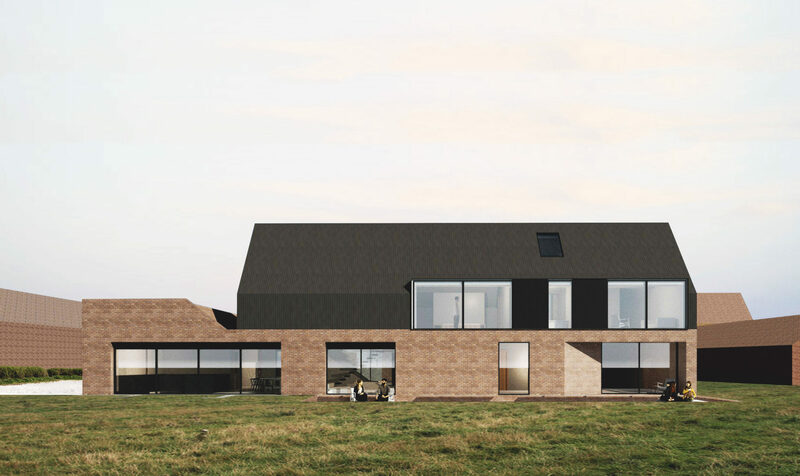 The key challenge of this brief was to incorporate a contemporary architectural language within the context of the Suffolk vernacular. 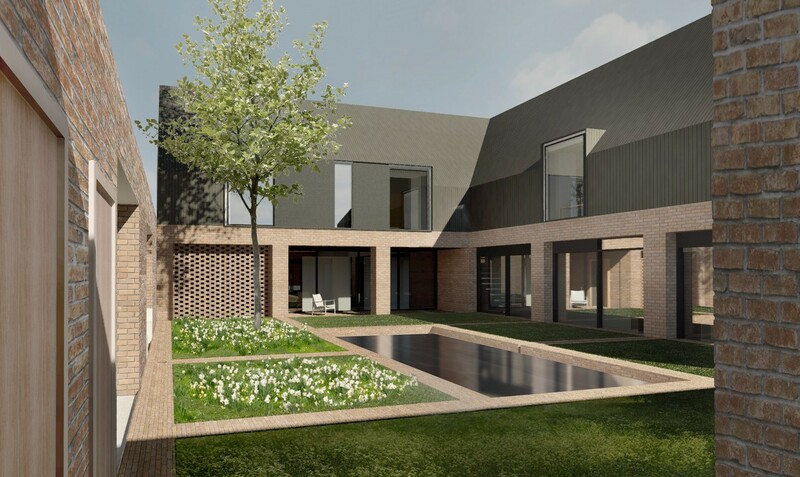 The brief was considerable in terms of scale and ambition, calling for four bedrooms and accompanying bathrooms, a cinema room and snug, along with a swimming pool and associated landscaped gardens. The client also has high sustainability targets, aiming to be entirely off-grid in terms of power generation. The response was to organise spaces around a landscaped courtyard, placing all the principal living spaces on the ground floor. These areas are collected together in a red brick plinth, which absorbs the form and profile of the existing pig barn and gathers the surrounding buildings to create a courtyard garden.